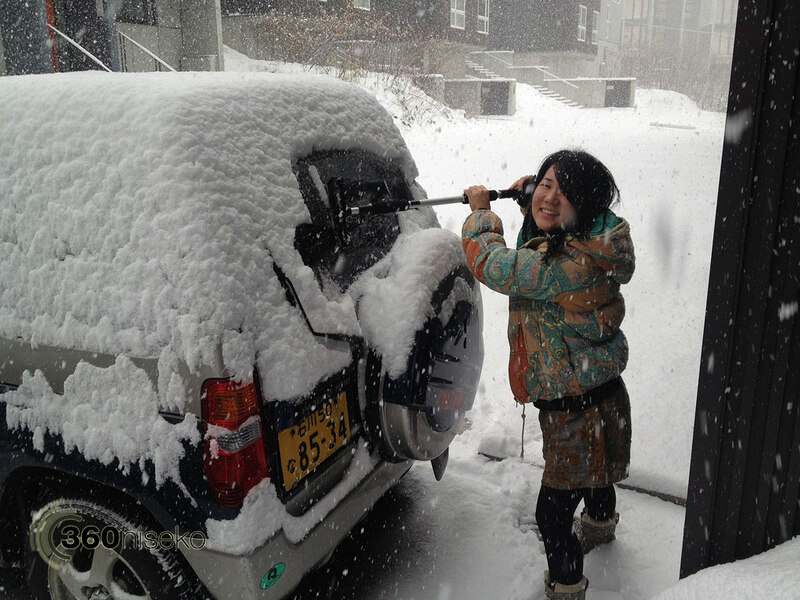 *8.5cm of fresh snow has fallen in the last 24hrs in Hirafu Village. At 7:00 today the temperature was -3°C. 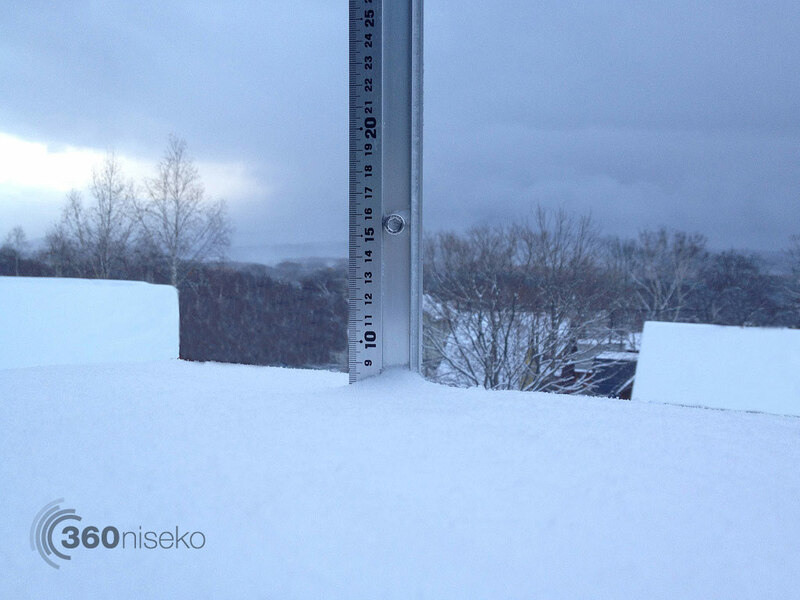 After taking the snowfall reading at 7:00 and clearing the station it started dumping and in the next hour there was a fresh 2cm accumulation of light fluffy Hokkaido powder snow. The cold weather and snowfall is predicted to continue for the next few days and the base is building! 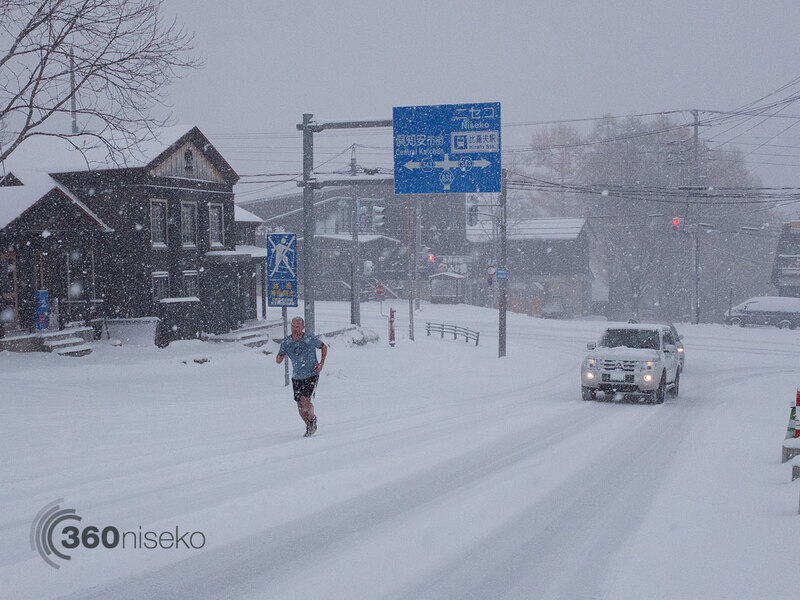 We like this guys commitment to preseason training! Respect. That’s it I’m packing up the desk and heading over!!! He’s brave in shorts, committed! Keep the reports and pics coming, great stuff. Hi Tim. I was impressed!! Woah’ Thanks for the comments glad to hear you are enjoying the pics. Cheers! 44 days and counting till I arrive! Cant wait! Hi Jason, Locked in! 44 days, that will fly by! Hope the snow reports help.